Brother Wolf is a non-profit organization in Asheville, NC that provides the resources and life-saving programs to help build No Kill Communities in North Carolina and beyond. They currently rescue and adopt dogs, cats, pigs, and cows, among others. 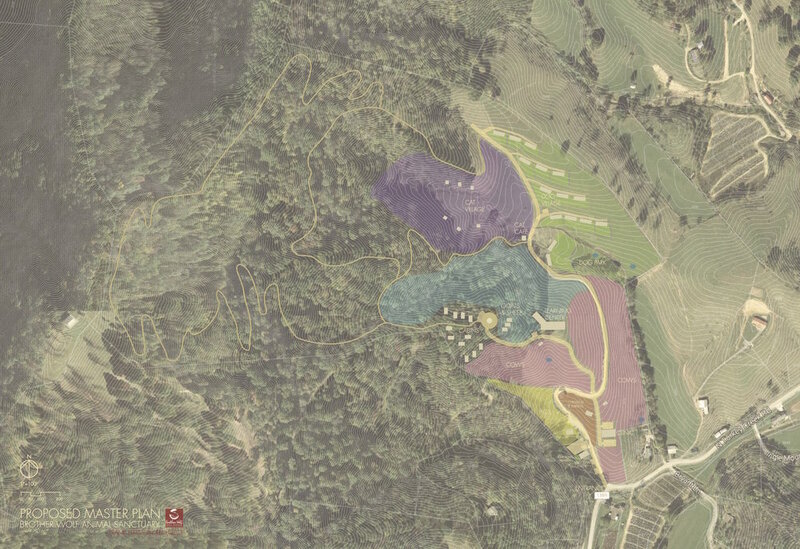 Brother Wolf worked with Paul Drake, Suzy Cash, and Frank Harmon Architect to devise a master plan for their new 83 acre site and concept designs for their animal housing. 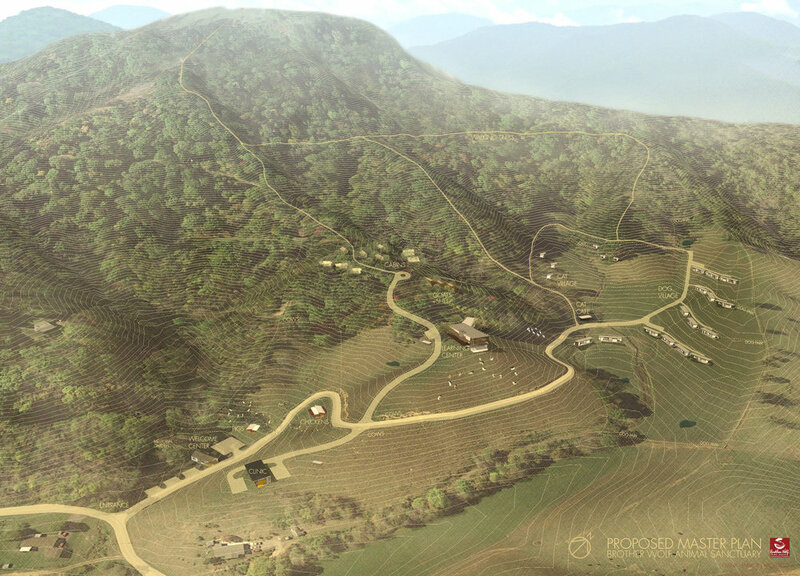 The sanctuary site is nestled in the rolling hills 30 minutes outside Asheville. The program called for housing for cats, dogs, and farm animals, as well as a dog park, learning center, clinic and guest cabins. 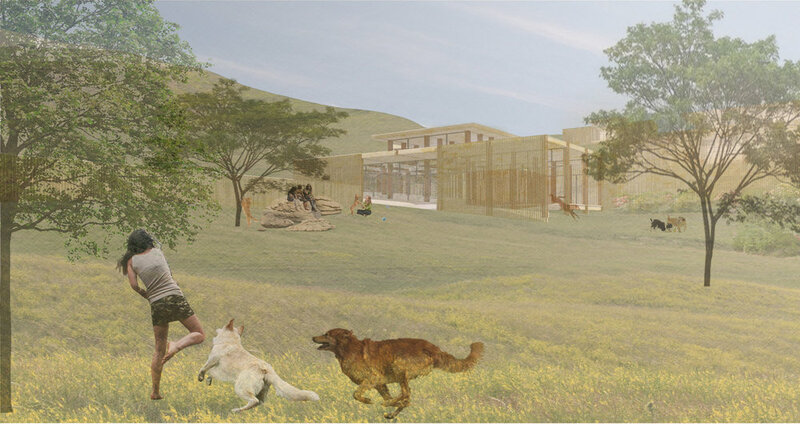 The natural beauty and expanse of the site called for a design which allowed the animals maximum access to the outdoors. At SOMOS we believe that all animals deserve the freedom to express their interests in a natural environment. Each animal structure was designed with the interests of the animals at its core. Each of the cat structures includes a large window with sleeping shelves looking onto a common cove. The dog structures are dotted across the landscape and separated by vegetated borders in order to mitigate nervous barking and fence running, and to allow each pack of dogs ample outdoor play space .